It has been suggested that climate change induced by anthropogenic CO2 could be counteracted with geoengineering schemes designed to diminish the solar radiation incident on the Earth's surface. 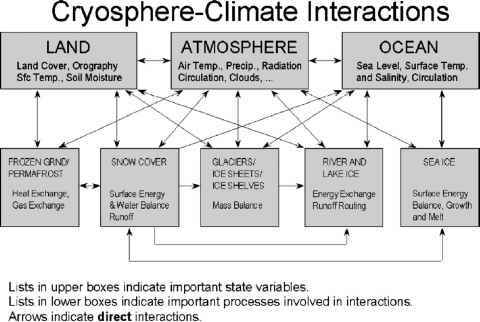 Though the spatial and temporal pattern of radiative forcing from greenhouse gases differs from that of sunlight, it was shown in a recent study that these schemes would largely mitigate regional or seasonal climate change for a doubling of the atmospheric CO2 content. Here, we examine the ability of reduced solar luminosity to cancel the effects of quadrupling of CO2 content. In agreement with our previous study, geoengineering schemes could markedly diminish regional and seasonal climate change. However, there are some residual climate changes: in the geoengineered 4*CO2 climate, a significant decrease in surface temperature and net water flux occurs in the tropics; warming in the high latitudes is not completely compensated; the cooling effect of greenhouse gases in the stratosphere persists and sea ice is not fully restored. However, these residual climate changes are much smaller than the change from quadrupling of CO2 without reducing solar input. Caution should be exercised in interpretation because these results are from a single model with a number of simplifying assumptions. There are also many technical, environmental and political reasons not to implement geoengineering schemes. Govindasamy, B., K. Caldeira and P.B. Duffy, 2003: Geoengineering Earth's radiation balance to mitigate climate change from a quadrupling of CO2. Global and Planetary Change, 37, 157-168.